:Here is an amazing story of hope from the horrific massacre at Columbine High School on April 20, 1999, where many innocent lives were lost. One of those was Rachel Joy Scott, mercilessly murdered for her faith in God. Now her death, her story and the courage behind it are reaching around the world, offering young people a new view of life. Darrell Scott, Rachel's father, shares how the tragedy has sparked many young people to take a stand for their faith in Christ. He reveals the amazing contents of his daughter's diaries and her apparent premonitions of what was to come. This amazing story of tragedy and God's mercy is a powerful and shining testimony for Jesus Christ. Young people will be encouraged and challenged by Rachel's story to share Christ more freely and take a stand for their convictions. 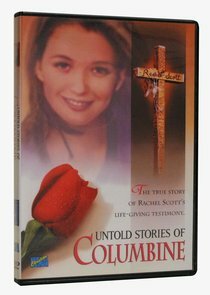 About "Untold Stories of Columbine"